Visualization techniques have been used by successful people to visualize their desired outcomes for ages. The practice has even given some high achievers what seems like super-powers, helping them create their dream lives by accomplishing one goal or task at a time with hyper focus and complete confidence. In fact, we all have this awesome power, but most of us have never been taught to use it effectively. Another powerful visualization technique is to create a photograph or picture of yourself with your goal, as if it were already completed. If one of your goals is to own a new car, take your camera down to your local auto dealer and have a picture taken of yourself sitting behind the wheel of your dream car. If your goal is to visit Paris, find a picture or poster of the Eiffel Tower and cut out a picture of yourself and place it into the picture. When we were writing the very first Chicken Soup for the Soul® book, we took a copy of the New York Times best seller list, scanned it into our computer, and using the same font as the newspaper, typed Chicken Soup for the Soul into the number one position in the “Paperback Advice, How-To and Miscellaneous” category. We printed several copies and hung them up around the office. Less than two years later, our book was the number one book in that category and stayed there for over a year. Now that’s a pretty solid example of a successful visualization technique! You want to take your visualization to the next level, right? 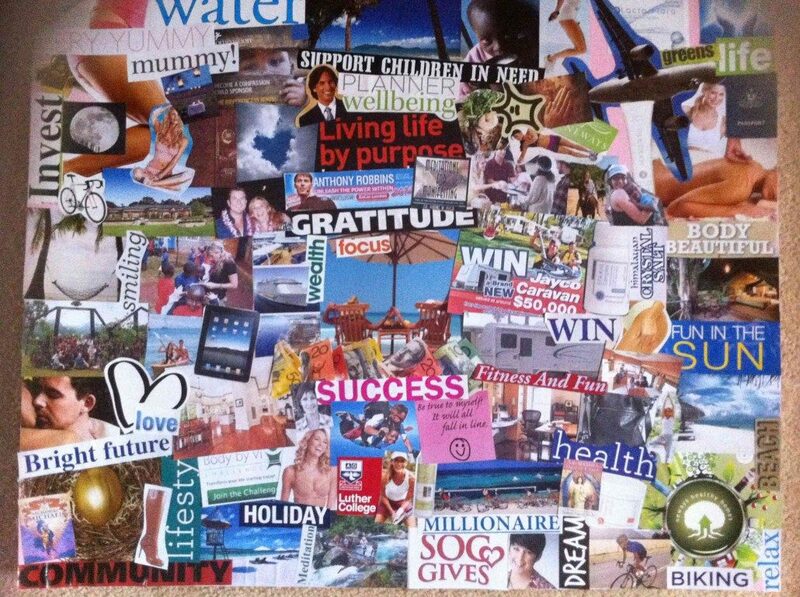 Learn how to create an empowering vision board here! Through writing down your goals, using the power of visualization and repeating your daily affirmations, you can achieve amazing results. Your subconscious will become engaged in a process that transforms you forever. The process is invisible and doesn’t take a long time. It just happens over time, as long as you put in the time to visualize and affirm, practice your techniques, surround yourself with positive people, read uplifting books and listen to audio programs that flood your mind with positive, life-affirming messages. Visualization – seeing the goal as already complete in your mind’s eye – is a core technique used by the world’s most successful people. Visualization is effective because it harnesses the power of our subconscious mind. When we visualize goals as complete, it creates a conflict in our subconscious mind between what we are visualizing and what we currently have. Our minds are hard-wired to resolve such conflicts by working to create a current reality that matches the one we have envisioned. Visualization activates the creative powers of the subconscious mind, motivating it to work harder at creating solutions. You’ll also notice new levels of motivation and find yourself doing things that normally you would avoid, but that will take you closer to success. The third way visualization boosts success is by programming the Reticular Activating System (RAS), which serves as a mental filter for the 8 million bits of information that are streaming into our brains at any one time. The RAS thinks in pictures, not words. Daily visualization feeds the RAS the pictures it needs to start filtering information differently. As a result, your RAS will start to pay attention to anything that might help you achieve your goals – information that it otherwise might ignore. Although a daily practice of visualization is vital, we don’t need to spend all day thinking about our goals for this technique to work. In fact, spending too much time in visualization can rob you of something essential – living in the moment. Daily rituals help to establish the right balance between thinking about the future and living in the moment. Start by picking a time during which you’ll review your goals and visualize your success. Ideally, do this twice a day – first thing in the morning and right before you go to bed. The process typically will take 10 minutes or less. If you meditate, do your visualizations immediately after your meditation. The deepened state reached during meditation heightens the impact of visualization. For greatest effect, read your goals or affirmations out loud. After each one, close your eyes and create the visual image of the completed goal in your mind. To multiply the effects, add sound, smells, and tastes. Most importantly, add the emotions and bodily sensations you would be feeling if you had already achieved your goal. This is a powerful visualization technique. Research has revealed that images or scenes that are accompanied by intense emotion will stay locked in our memory forever. The more passion, excitement and energy we muster during visualization, the more powerful the results will be. Once you have visualized each goal as complete, it’s time to release. Let go of your goals, and spend the rest of your day being in the present moment. An easy way to instantly become present is to focus on your bodily sensations. It’s impossible to focus on our bodies and be in the past or the future at the same time. For example, focus on your left foot right now. What are you feeling? Pay attention to the sensation for a minute. Then notice what you’re feeling in your right foot, and spend a few moments really feeling the sensation. If you were able to pay attention to your feet, congratulations. You were absolutely present. If you find your mind drifting to the future throughout the day, you can use one of the more basic visualization techniques. Just let go of any fears or worries that arise. Shift your thoughts to what you want the future to look like when you get there. Then bring your awareness back to the moment. As the saying goes, “Today is a gift—that’s why it’s called the present.” Use visualization techniques to achieve your goals, but invest the majority of your time enjoying the gift of today. 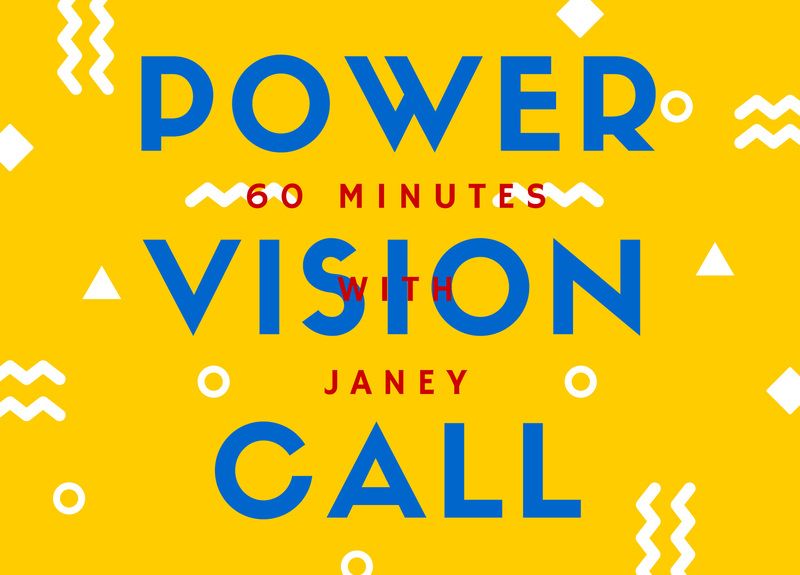 Want help to get clarity on your vision? Rich or Poor..Scrooge or Bob Cratchit? Flash 7 day sale PR Media skills audio masterclass – £400 off!